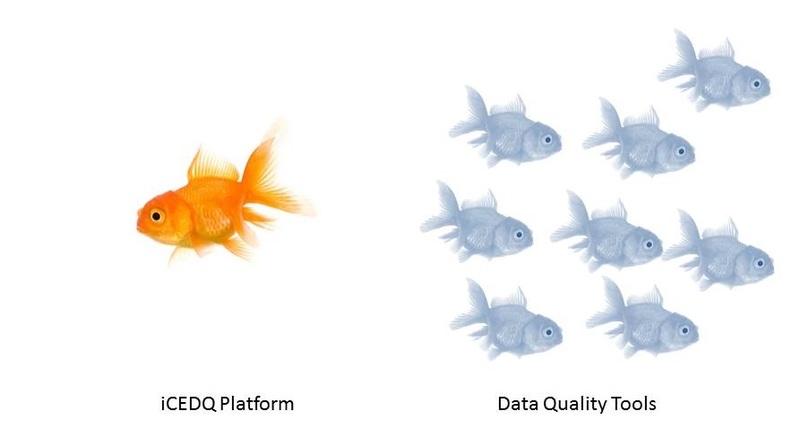 When people hear about iCEDQ, the first reaction is… “Hey, I already have a data quality tool! Why do I need iCEDQ?” In this article let’s contrast iCEDQ with any other data quality tools available in the market. iCEDQ is a Quality Assurance and Test Automation platform for data-centric projects and processes such as data warehouse, CRM, data migration & conversion, ETL. It certifies the ETL processes or migration by effective ETL testing and data migration testing. The product can be further used for monitoring the data processes in production. The product emphasizes mainly on process quality. Type of Tool Quality Assurance Tool iCEDQ is a QA tool, purpose built for testing data-centric projects and systems such as ETL. Other QA tool: HP Quality Center, QTP, selenium, etc. Data Quality Tool It is a data profiling & data correction tool. Environment/Phase in which the tool is used Non-production environment (Dev/QA Phase) to test, validate and reconcile the data between/ across files and databases. Production phase to fix the data on day to day basis in conjunction with the ETL tool. 3. Production Data Monitoring & Compliance 1. Data profiling in early stages of the project. 2. Data fixing in a production environment. Requirements and Test Case Management Yes. The tool discovers the patterns in data, their values, and relationships and reports any data anomalies. Used for analysis and understanding of data. Data Correction and Standardization No Yes. The tool is used to run “cleanup” task against last data sets. It uses different rules to recognize data issues and apply the correct rules based on context to change/ update/ delete the actual data. Data Match and Merge No Yes.